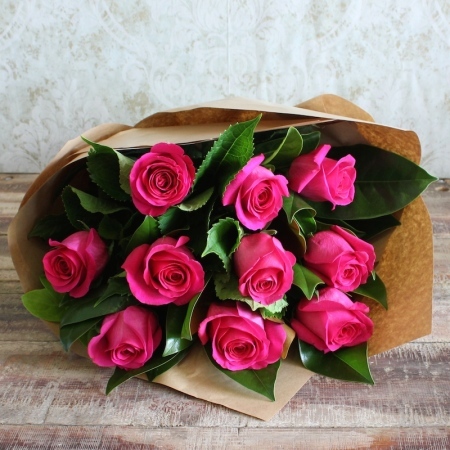 Create a moment of joy with this vibrant pink Rose bouquet. The perfect gift for any celebration or perhaps a romantic gesture for that special someone in your life. These pink Roses are intense in colour that is sure to take their breath away. It comes wrapped in a natural brown paper that is 100% recyclable which makes this beauty a wonderful addition to our ECO Collection. Order by 2:00pm and receive same day delivery Sydney wide.